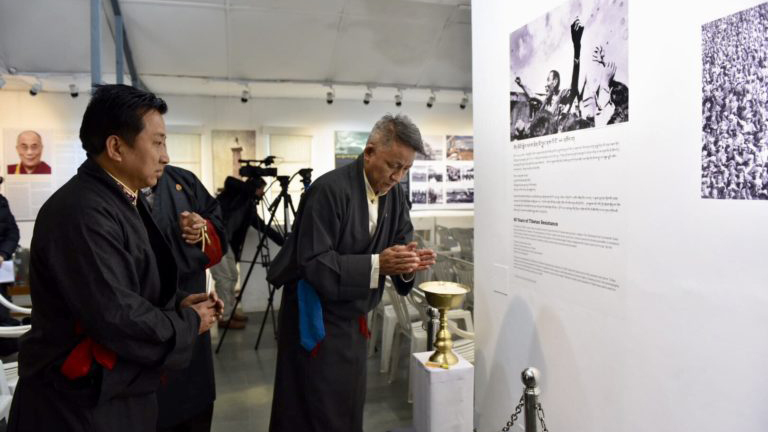 Dharamshala: The Tibet Museum of Department of Information and International Relations, today inaugurated a photo exhibition titled ’60 year of Tibetan Resistance’. The temporary exhibition is curated jointly by Tibet Museum staff Tenzin Rabjam and Intern Lodoe Tsomo. 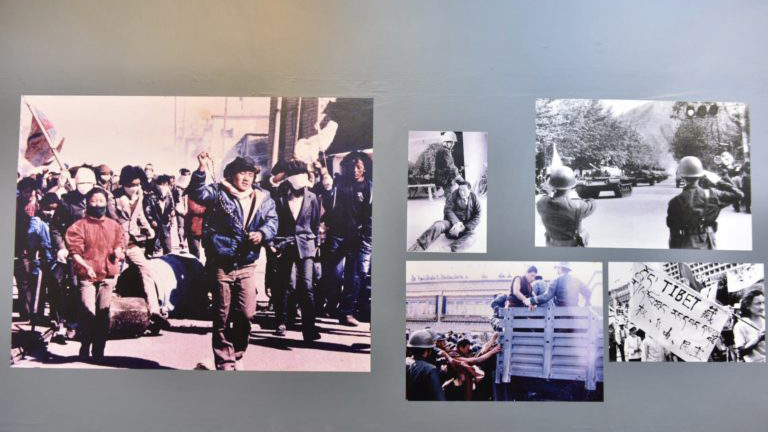 The exhibition features a factual account of photographs captured since 10 March uprising in 1959. Finance Kalon Karma Yeshi begin his talk by paying tribute to all those Tibetans who have sacrificed for the cause of Tibet since 1959. Kalon Karma Yeshi pointed out the important dates on which the mass protests took place since 1959 and reminded the participants to remember their sacrifices. He recalled the first self-immolation by Tapey, who immolated himself on 27 February 2009. The latest is Dopo, the 153rd Tibetan self-immolator. He further added that most of the self-immolators were born after 1959 who haven’t seen a free Tibet or received an opportunity to meet His Holiness the Dalai Lama. 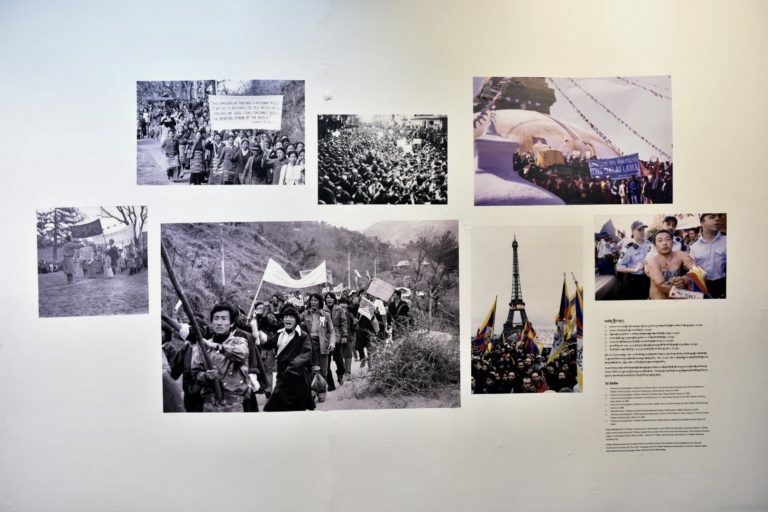 “This photo exhibition uncovers the blatant lies and propaganda of the Chinese government,” he said, urging all Tibetans to work in unity for the cause of Tibetan in years ahead. Before concluding his remarks, he suggested the exhibition materials be digitalised to reach a wider audience in future. 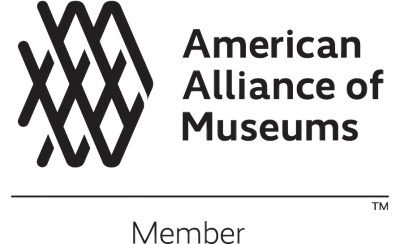 Secretary Sonam Norbu Dagpo acknowledged Tibet Museum for choosing an appropriate date for hosting the important exhibition. He also shared his views on photography as a powerful tool to inform and galvanize people into action. The opening remarks of the exhibition were delivered by Tashi Phuntsok, Director of Tibet Museum. Additional Secretary Chemi Tseyang, Tibetan settlement officer Dawa Rinchen, former political prisoner Lobsang Yonden, Ngawang Woeber and Dawa were present at the event. 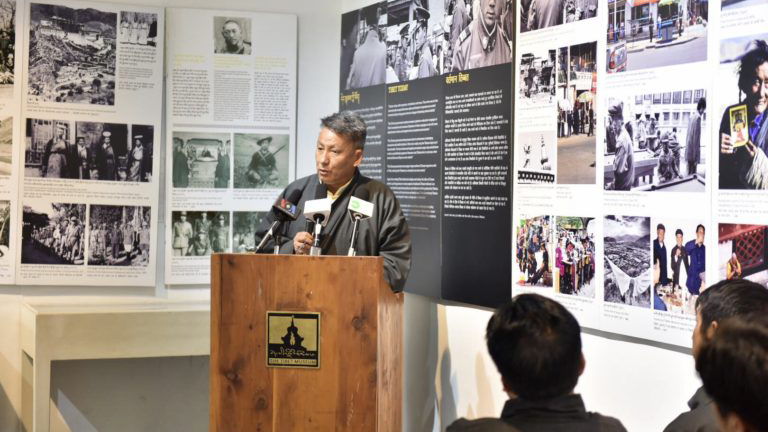 The inaugural event followed a panel discussion by former political prisoner Lobsang Yonden, Ngawang Woeber, Dawa and Human Rights Desk of Department of Information and International Dukthen Kyi.